0.5 gal/min (1.9 l/min) flow rate. 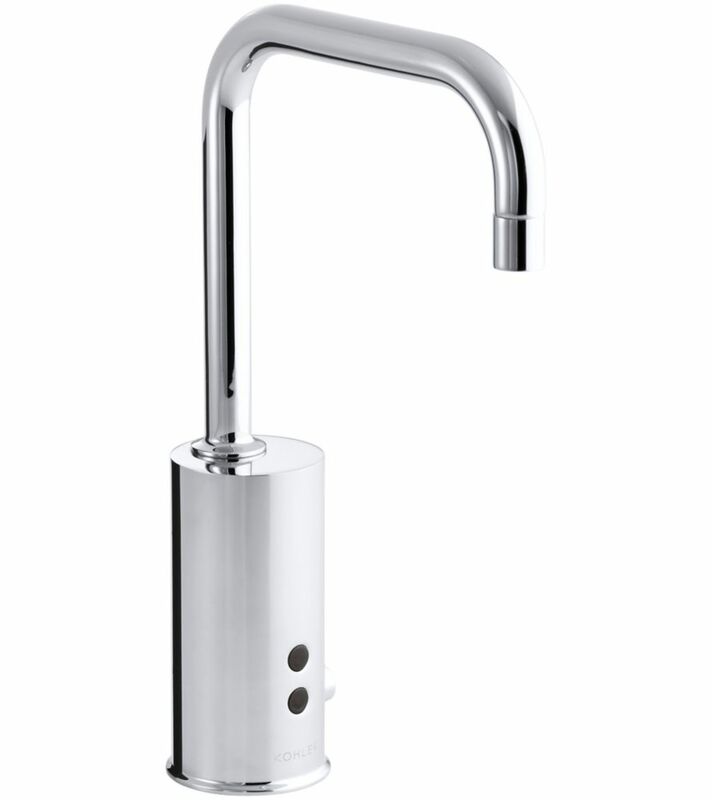 Fairfax faucets bring elegance and nostalgia to the bathroom. The tall height of this Fairfax sink faucet allows it to be paired with above-counter and vessel sinks. The curved spout gives this faucet a timeless design appeal, while a lever-style handle and touch-activated drain allow you to precisely control water pressure, temperature, and drainage. Bring minimalist style to your bathroom with this Margaux sink faucet. With its fluid lines and sleek silhouette, the faucet reveals a versatile look that matches a variety of decors. It features a convenient touch-activated drain and tailpiece as well as laminar flow, which helps conserve water while preventing splashing. Gooseneck single-hole Touchless(TM) AC-powered commercial faucet with Insight(TM) technology and temperature mixer AC touchless faucet with Insight technology features an adaptive infrared sensor that gathers and analyzes the surrounding area upon installation. After recording these details, Insight calibrates the sensor to filter false triggers and optimize the faucet's operation.